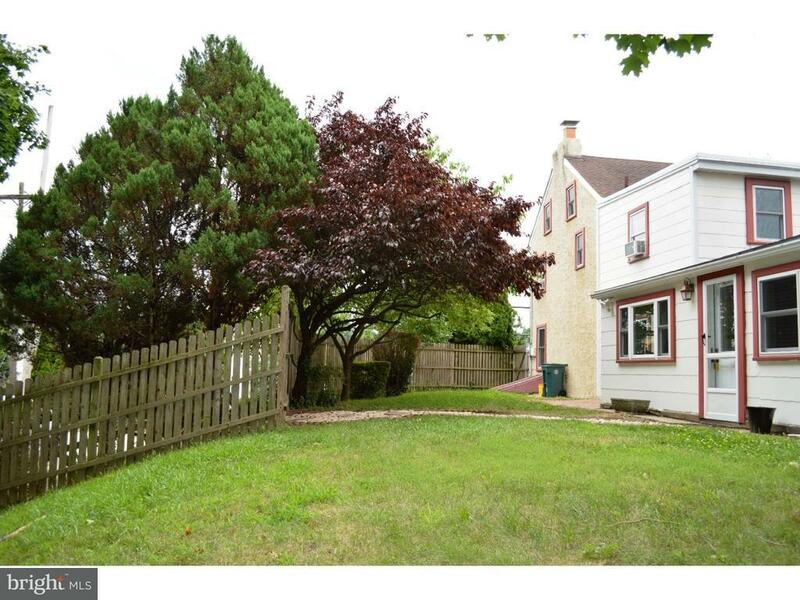 Not too often does such a great home come up in Whitemarsh Township under $300, 000! This is your opportunity! Located in a historic section of Lafayette Hill this fully updated twin home has everything you need. Pull into the large mulit-car driveway and start to feel how secluded this home really feels. Entering the home from the driveway leads you into the breakfast and laundry area. Here there is a half bath, laundry room with side-by-side washer and dryer, basin sink and concealed ironing board. Start your mornings out right in the breakfast room featuring oversized tile window sills with room for plenty of plants, a coffee bar with outlets, cabinet and TV wall mount to catch up on the morning news. In the kitchen, renovated in 2013, you will find granite countertops with a tile backsplash, new flooring and 3/4 hardwood cabinets. In addition, all appliances are upgraded, 2017 dishwasher, and there is plenty of counter space to prepare the most elegant meal. Moving into the dining room there is newer hardwood flooring that extends into the living room. The substantial living room features built-in bookcases, newer Hunter ceiling fan, and a beautiful wood burning stove surrounded by a intricate hearth and mantle. The second floor and stairs both have brand new carpeting and once upstairs you will find two bedrooms and a full bathroom. The full bath has been updated with tile flooring and backsplash. The third floor loft shows off the beautiful original details of the home including the exposed stone chimney and wooden roof rafters both glazed to accentuate their natural characteristics. Finishing out the inside of the home is an unfinished basement with outside double door stair access. Outside the home there is a new shed with ample storage and a large yard. Koontz Park is within walking distance along with a hardware store and plenty of restaurants, bars and shops. The home is in Colonial School District and close access to the R6 train line Miquon Station, Morris Arboretum, Chestnut Hill College, Plymouth Meeting Mall and all major highways.